Having sold somewhere over 37 million copies, Napoleon Hill was constantly working to improve his bestseller. Until recently, it still contained a flaw which kept many people from fully realizing the book's promise. James Breckenridge Jones taught Hill's work and developed the missing formula which could help anyone become a millionaire - and built a national business in just four years that put tens of thousands on the road to personal prosperity and abundance. In fact, this book has been known as the textbook for millionaire makers - and has been used to train the likes of Jim Rohn, Zig Ziglar, Tony Robbins, and Mary Kay Ash - each of which became multi-millionaires in their own right. You can be anything you've ever wanted to be. You can have any thing you've ever wanted to have. The original 1937 Think and Grow Rich. 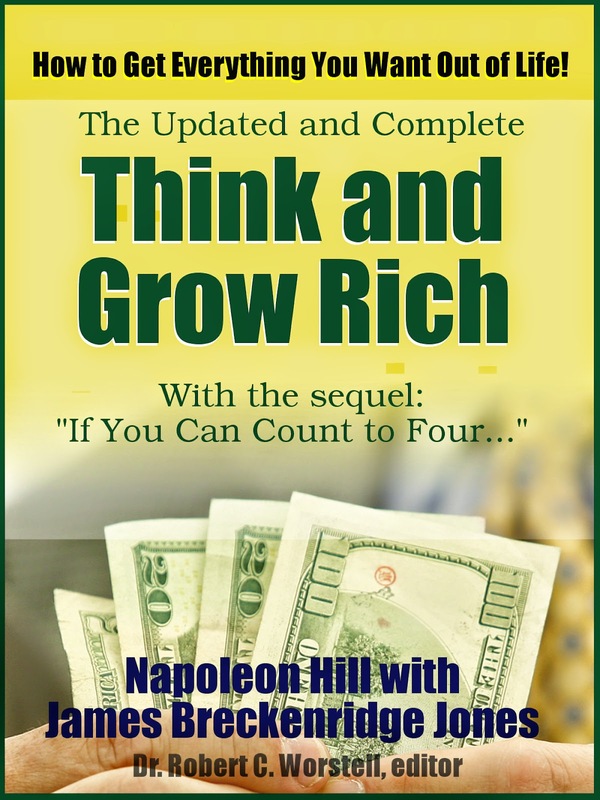 A review of Napoleon Hill's "Grow Rich with Peace of Mind" - his final update. James Breckenridge Jone's "If You Can Count to Four" - the sequel.